Welcome home, Blink and Sabretooth! 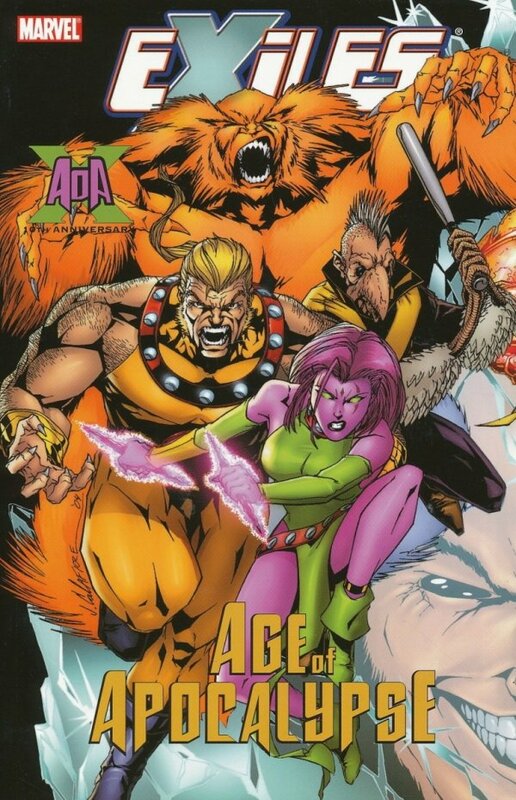 In an X-MEN: AGE OF APOCALYPSE tie-in, the Exiles return to the AoA with the unlikeliest new teammate: Apocalype's homicidal son, Holocaust! Their new assignment: kill the X-Men!? Can they stop fighting among themselves long enough to complete their mission? 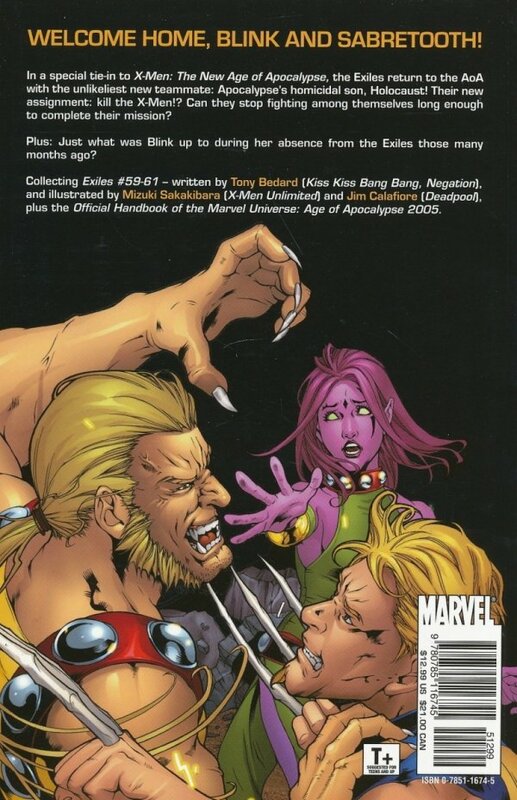 Plus: Just what was Blink up to during her absence from the Exiles those many months ago?